There are already some good forum threads and articles out there on how to upgrade the factory "30-amp" alternator to a later NipponDenso 90-amp alternator, so I'm not going to go into too much depth about that. 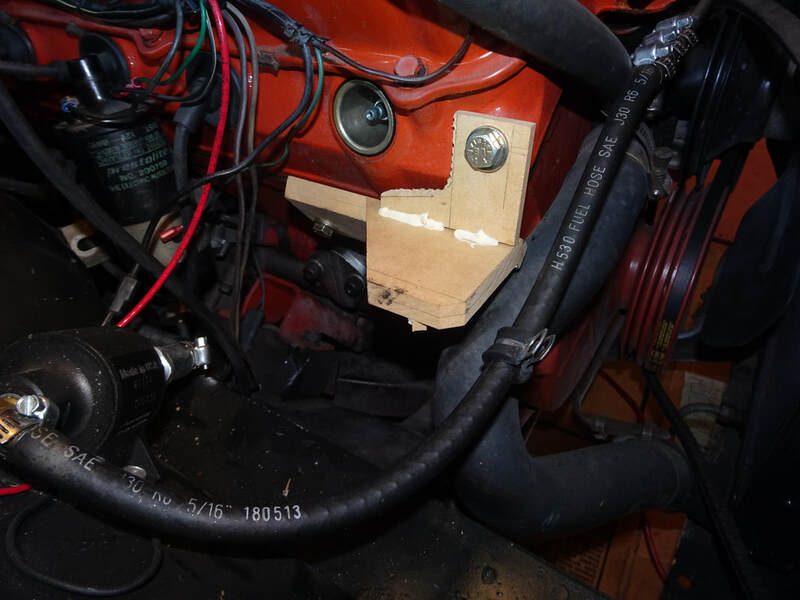 What I want to focus on here is why I decided to not modify (grind to fit) my stock alternator bracket and how I went about designing and fabricating a brand new bracket designed to accommodate the NipponDenso alternator. 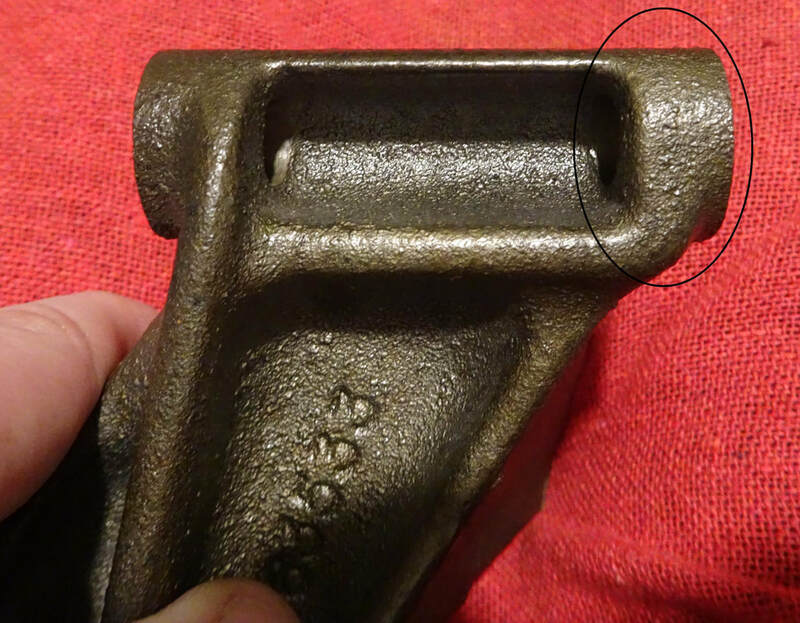 First let's analyze this image that I found online where it was prescribed to grind up to 0.300" (not quite 5/16") off the front of the stock Slant-6 alternator bracket. 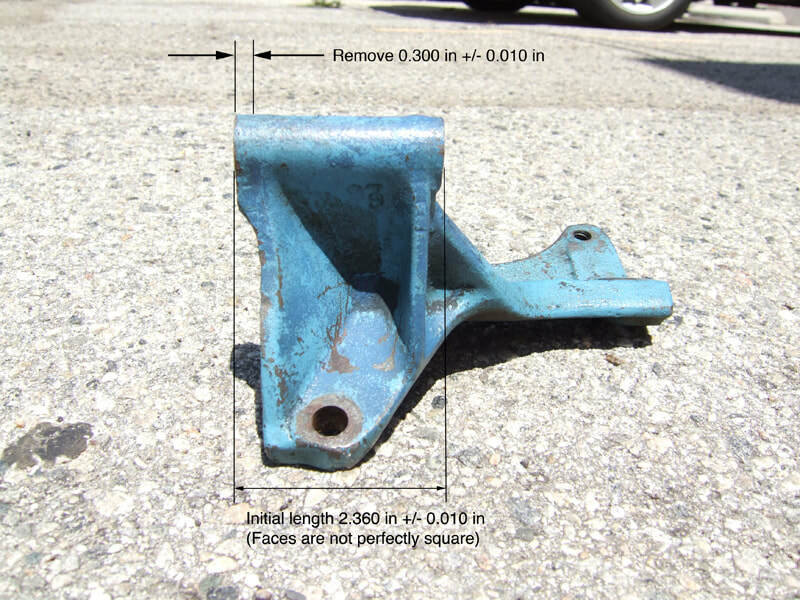 I measured how thick the casting is on the front support area and it's around .375" thick (approximately 3/8")! 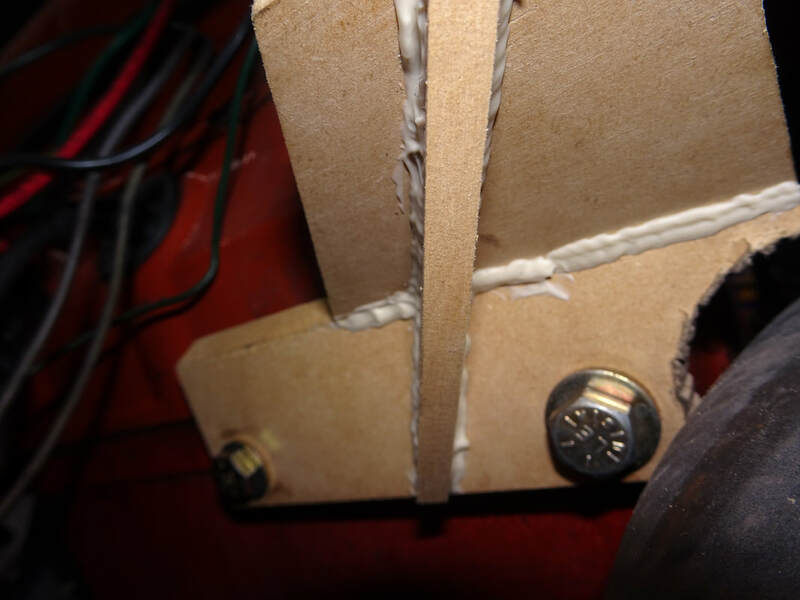 So if you go grinding off up to .300" all you are left with for front support structure is ~0.075" or slightly more than 1/16". Not Good. With vintage cast iron, that's a recipe for something to crack and bad things to happen. 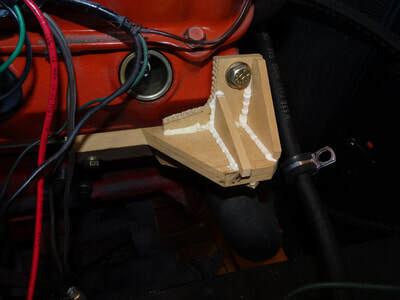 So I decided to design my own replacement alternator bracket based off the stock bracket but designed specifically for the NipponDenso 90A alternator. 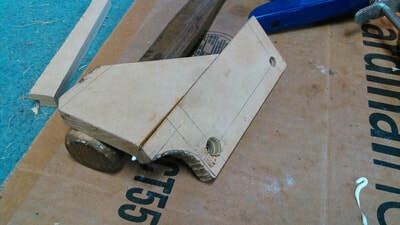 To do this I started by making a cardboard mock-up. I then used this as a template to create 3D models. In the process of studying my assembly I made some tweaks and changes. 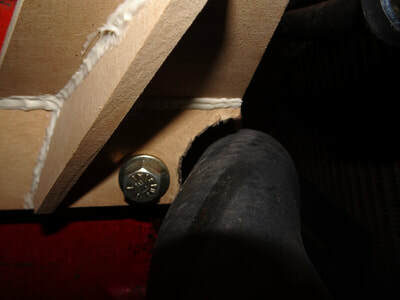 Perhaps the two most notable were the elimination of the small gusset on the underside (seen in the cardboard mock-up) and extending one of the top gussets out to overlap the pivot bolt bushing. Once I was happy with my model I created a set of drawings for each piece. One thing I made sure of was that all dimensions were 'nice' numbers that could easily be found with a tape measure. With a complete drawing set in hand, I started making a wood mock-up from a sheet of .224-in thick MDF. 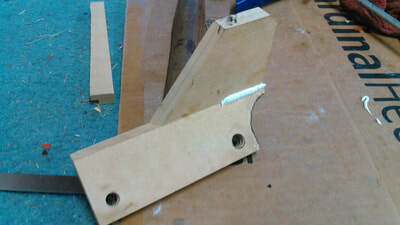 Since the two main structural plates are supposed to be 3/8-in thick, I glued two pieces of MDF together to make pieces that were .448-in thick. This is thicker than 3/8-in (.375-in) but for the purposes of mock-up it would be fine. Satisfied with this wood mock-up, I contacted one of my co-workers who is a very talented welder and also happens to be a classic car enthusiast. I don't own a welder (yet...) and haven't welded since high school, so I asked him to help build this bracket out of steel. 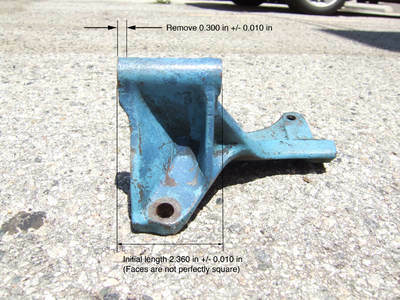 He was eager to help and saw no problems with fabricating this part from steel.